Not only do we have a reputation for being great value but we also stock products customers really enjoy. We use a multitude of methods when developing our hampers. Firstly, we use a method of gradual evolutionary improvement. This is where we take well loved hampers over the years and tweak them using the customer feedback provided by yourselves. We also come with new and innovative products biannually, pioneering the gift basket and hamper industry by creating unique never before done products. 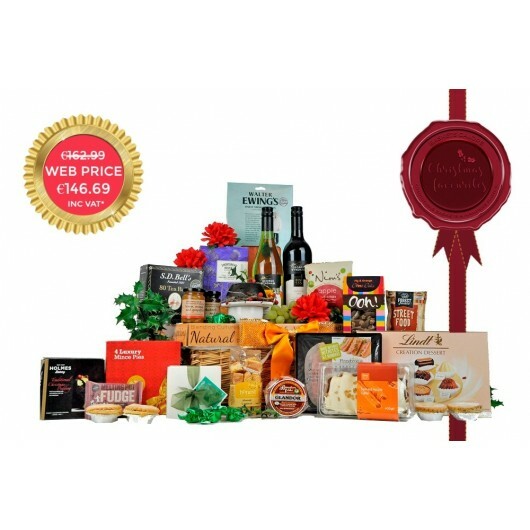 A member of our great taste award winning range, this hamper is bursting with gourmet and artisan products produced throughout Ireland. Chocolate pudding made by Ireland’s master baker, indulgent kitchen made chocolate sauce, Handmade chutney, tangy cucumber relish and artisan lemon, orange and grapefruit marmalade make a delectable selection of gourmet goods within this hamper. On top of this scrumptious selection of cakes and preserves are a selection of artisan biscuits, organic loose leaf tea and gourmet soda bread toasts. Designed with the foodie in mind, this hamper is the definition of a festive favourite. A beautiful mix of Australian red and white wine from the world renowned Wyndham Estate are complemented by a variety of delectable festive goodies finely crafted by speciality food producers. A array of delicious shortbread and chocolate chip cookies accompanied by organic afternoon tea is the perfect winter warmer to treat yourself with at the end of a long day. 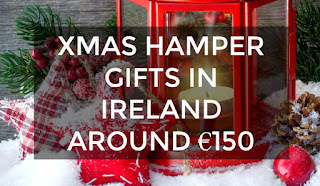 Luscious Spanish wildflower honey and award winning rhubarb and ginger jam which has been harvested by hand are also included within this hamper. 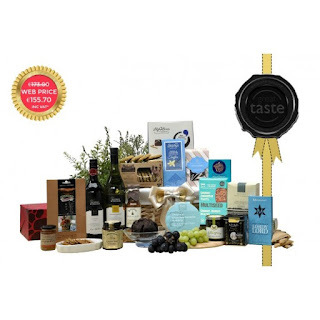 One of our most popular hampers, this is guaranteed to have any foodie jumping with joy! A duo of wines inspired by our times backpacking through Australia are accompanied by fresh Irish smoked salmon and Brady family traditional ham. 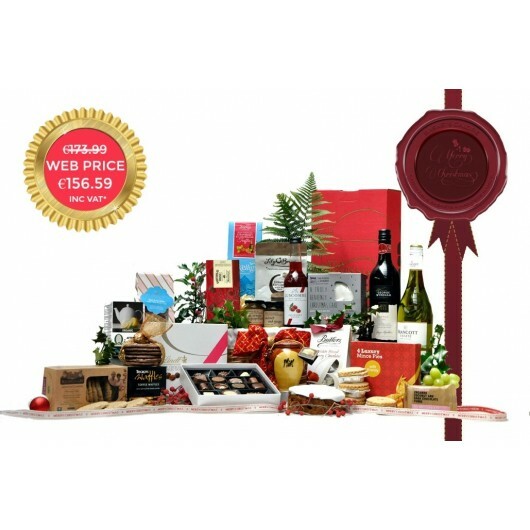 A traditional basket bursting with seasonal delights such as Christmas pudding, succulent spiced apple cake, luxury mince pies, spicy assortment of nuts and some of the finest artisan chocolates produced throughout Europe it is no wonder this hamper continues to sell out year after year. 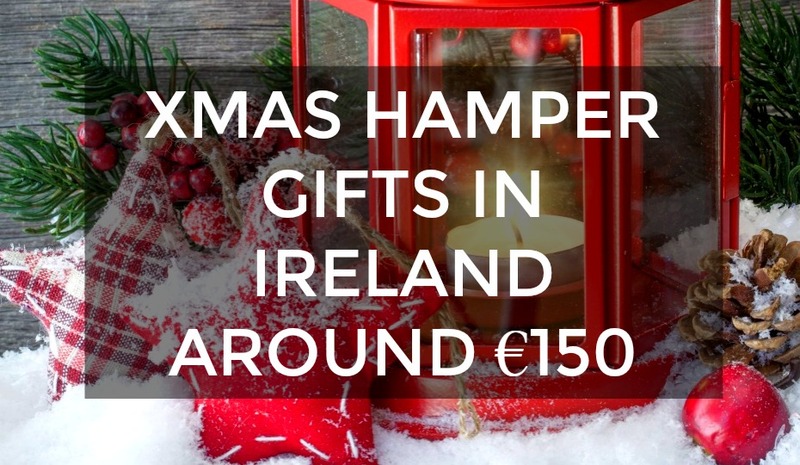 €150 is our most popular price point and I’m sure you can see why, not too expensive but definitely getting your moneys worth, which is something we really pride ourselves on. Other companies may like to rip their customers off by giving them a big old basket with very little contents - but that is just not us. We love giving you value for money by ensuring our hampers are full with the finest quality gourmet contents while not being over crowded. Our end goal ultimately is to have not only the recipient smiling but leave the customer knowing they’re family will be happy with the gift they have got them this Christmas. As you well know, Lily O’Brien's chocolates are known throughout the world and yet made right on our doorstep in County Kildare. A key feature within many of our hampers throughout the year but especially at Christmas we were pretty annoyed when they got in contact to say they had run out of packaging for our beloved Triple Chocolate Indulgence. So, we went back to the drawing the board. Trying to find something as delicious and around a similar price point but nothing would cut it. Lily O’Brien's got in contact with us and offered us an even better box of chocolates with a very minor price change - we JUMPED at the opportunity. The price of an 108g box containing only 7 chocolates to a 300g box with an assortment of 30 chocolates with just a small price change on our behalf, you would be mad not to take that! A few of us in the office were away on my hen weekend recently & it inspired us to create a new range of hen night gifts. We had noticed people ordering pamper hampers or wine & chocolate gift baskets for hen night presents before, but until now we haven't had gifts designed especially for hen do's. Hen Night gifts are popular to send if you are unable to make the hen night, but still want to be a part of it & show you are thinking of them. They are also good to have as an arrival treat in your hotel room, apartment or B&B. Some companies that book hen activities or weekends, like to offer a Hen Gift Basket as an arrival gift. Our Hen Party Gift Baskets typically include some bubbly or wine cooler drinks, sweets, crisps, snacks, nuts & lots of chocolates to share! We have also included a few cheeky accessories for the blushing bride, such as 'Bride To Be' sashes & pink fluffy L Plates! So basically everything the hens need to get the party started!